Air may exist in a lubricating oil in four different forms. Understanding these forms and how to best mitigate air contamination will help you reduce its impact on the machine and the lubricant. All lubricating oils have some level of air. The natural state is known as dissolved air. For mineral oils, normal levels of dissolved air are around 10 percent by volume. At these levels, the oil will have a clear and bright appearance. No clouding will be observed. The risks with dissolved air are generally associated with accelerated additive depletion and oxidation of the lubricating oil. Once the oil takes on more air, it becomes known as entrained air. This form is present as suspended microscopic air bubbles that cloud the oil's appearance. Entrained air can also have negative effects on the machine and oil. Oil compressibility, film strength failure and microdieseling can damage equipment components and affect performance. Microdieseling, in particular, is detrimental not only to the machine's parts but also to the oil, leading to increased oxidation and varnish. The next form of contamination is known as free air. It involves pockets of trapped air in dead zones, high regions and stand pipes. Hydraulic compressibility, corrosion and loss of system controls are often associated with free air. Foam is the last state of air contamination. 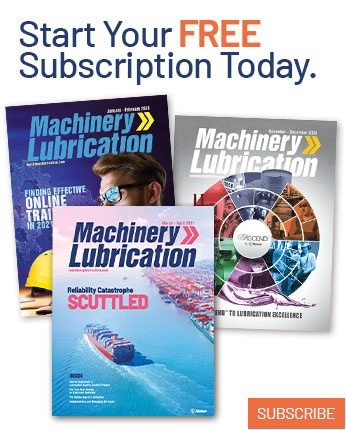 It can result in considerable damage to machine components, as it can enter the suction line of a pump, leading to oil starvation, compressibility problems and vapor lock. Foam can also cause safety issues if it flows from the reservoir to the surrounding work areas. 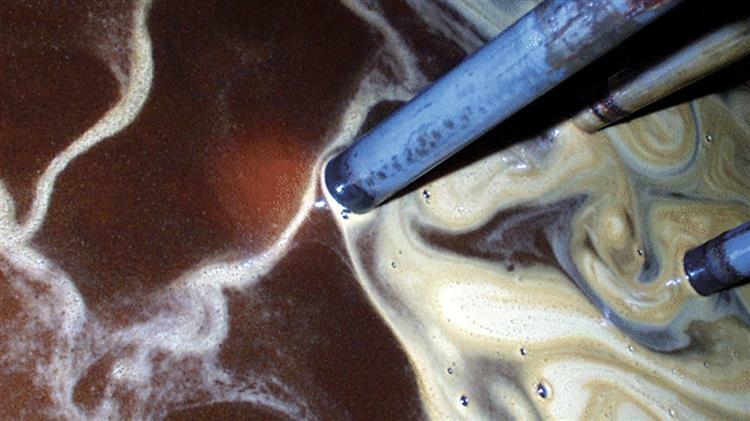 Foam is an indication that an undesirable change has occurred within the oil reservoir. Things such as oxidation, polar contaminants, water contamination and solvents can lower surface tension, causing poor air release and foam. The presence of foam may also produce operational problems and accelerated lubricant oxidation. 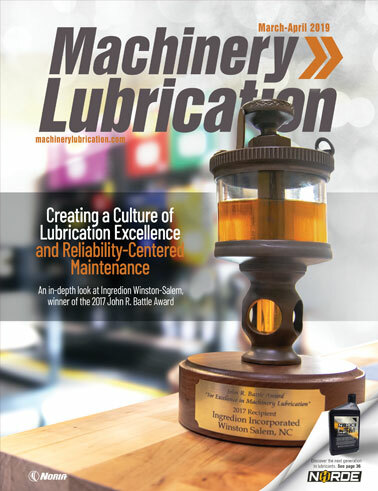 Selecting the right oil viscosity plays an important role in air detrainment. If the viscosity is too high, the air will take longer to detrain from the system. Adding defoamant to the oil is not always a good strategy, as it may produce the opposite effect that you are trying to achieve. The best advice is to recognize the presence of foam, its root cause and the detrimental effects on the system. A proper sight glass can help in the early detection of air. Systems like gearboxes may have a thin layer of foam caused by splashing or turbulence of the moving gears. How fast this foam dissipates will be an excellent indicator of the lubricant's health. Simple comparative tests can also be beneficial. For example, taking a new oil sample from a drum and comparing it to a sample of the used oil by running it through a kitchen blender can reveal the reaction of the in-service oil.